If you listen to contemporary church music you will probably notice that there are certain chord progressions that are used quite often. In this lesson we will be taking a look at two of those progressions. The first progression is a 14541 progression in the key of G major. 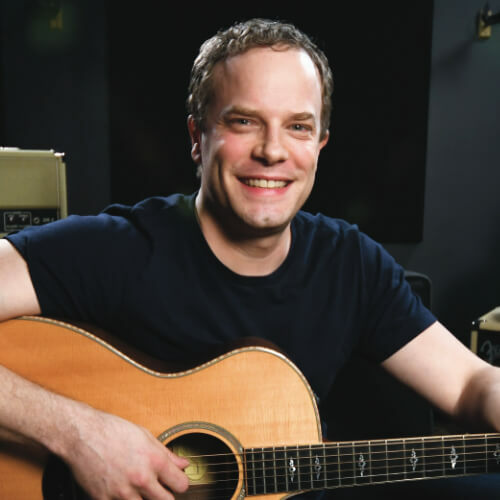 I will show you two different ways to play this progression so that you have some options when choosing which chord voicings to use. The second progression is a 1564 progression in the key of E major. This is probably the most common progression in this style of modern church music. I have supplied you with the TAB, notation and chord diagrams for each progression. Let’s take a look at the 14541 chord progression. We are in the key of G major so the 1 chord is a G major, the 4 chord is a C major and the 5 chord is a D major. If you are not familiar with the open chord shapes take some time to learn the chords by going through the chord diagrams that I have given you. The 14541 progression would end up being G major, C major, D major, C major and back to G major. The strumming pattern that I used for this progression is pretty typical of the contemporary praise style. Check out the TAB for the strumming details. Now instead of playing regular open chords for this 14541 progression I went ahead and gave you some less common chord shapes for the G, C and D chords that you can use to play the progression. These chords use mostly just the top four strings for a completely different and lighter sound. 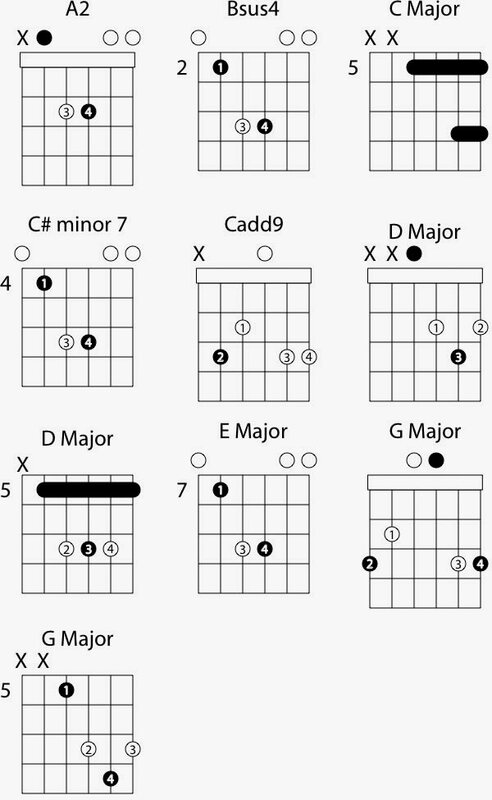 Again, if you are not familiar with the shapes just check out the chord diagrams or TAB. The next progression that we are going to learn is a 1564 progression in the key of E major. In the key of E major the 1 chord is E major, the 5 chord is a B major, the 6 chord is a C# minor and the 4 chord is an A major. The 1564 progression in the key of E major would be E major, B major, C# minor and A major. Check out the chord diagrams and the TAB if you do not know the shapes for the chords that we are using. Play around with these progressions and start to try to memorize what they sound like and how the chords flow. If you work on this you will start to recognize these progressions in some of the church music that you are learning or just listening to. If you have any questions about this or any other lessons feel free to email me by clicking on the “Ask Nate” button. Have fun!